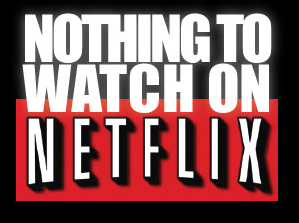 For the first time ever, this month's installment of Nothing to Watch on Netflix is not a movie. In spite of this glaring shortcoming, Black Mirror is still a super strong pick. Unlike most American shows, which are bloated with up to 23 or 24 episodes, Black Mirror is a British series with only 3 hour long episodes each of the two seasons. While the trailer may lead you to believe that there is continuity between each of the episodes, that is simply not the case. Black Mirror is a spiritual successor to The Twilight Zone. But where The Twilight Zone focuses on aliens visiting Earth and whether gremlins are on the wing of the aircraft, Black Mirror's primary focus is the impact of technology on human development. There is a wide range of focus and setting in Black Mirror, with some stories taking place in modern days (the pilot) and others happening in far off dystopian futures. I really enjoyed watching this series- so much that I sat and watched all six hours of it in a single day. Each episode is unique and there are certainly some more than I liked than others, but I can say with certainty that each episode made me think. A huge range of topics are explored in this relatively short series including societal pressure to conform; the effect of technology on pop culture, grief, and memory; and the struggle to escape poverty. Definitely check it out, especially since you're probably snowed in with three feet of snow on the ground outside.